We hate to say it again but another heritage building bites the dust. 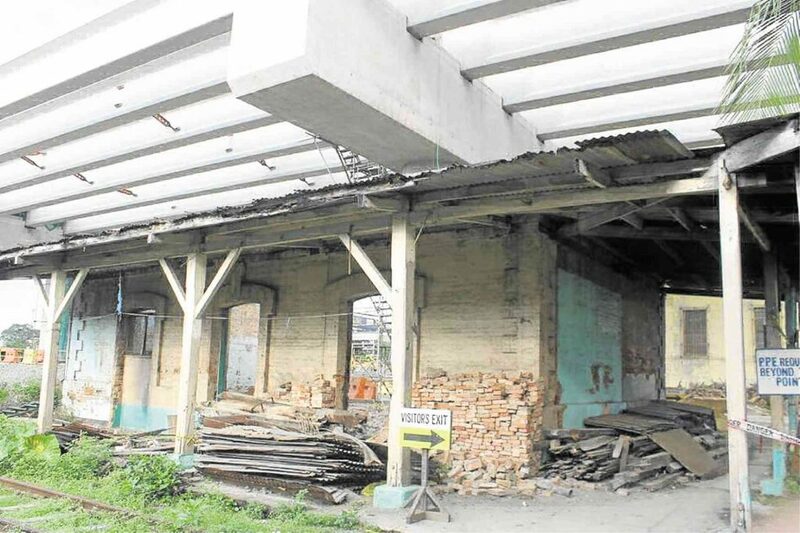 A part of the Caloocan station of the Manila-Dagupan Ferrocarril line was destroyed because of an ongoing Manila North Expressway project. The two-level Spanish train station was run over by the elevated highway project; its remains still feature some of the original structure’s characteristics. The destruction of the infrastructure is said to violate the heritage law, which protects cultural structures against any kind of demolition, exportation, and modification. Just recently, the Department of Public Works and Highways issued a new order for the protection of heritage structures. The order says that project engineers are required to consult with the National Commission for Culture and the Arts and other cultural agencies before continuing with any project. The Philippine National Railways (PNR) we all know today used to be called the Ferrocarril de Manila-Dagupan. The 195-kilometer railway was inaugurated in 1892 after King Alfonso XII of Spain declared the establishment of a railroad system in Luzon. It transported passengers from Manila to Dagupan City. The entire train system was heavily damaged during World War II and only a fraction was repaired. In the 1950s, the Ferrocarril line became the PNR but its operations were short-lived once again. Natural calamities forced the closure of major lines and several train stations. Today, most of the original train stations are left to decay, often vandalized and covered in moss. Fortunately, some local government units restored a select few including the ones in San Fernando and just recently, Dagupan.